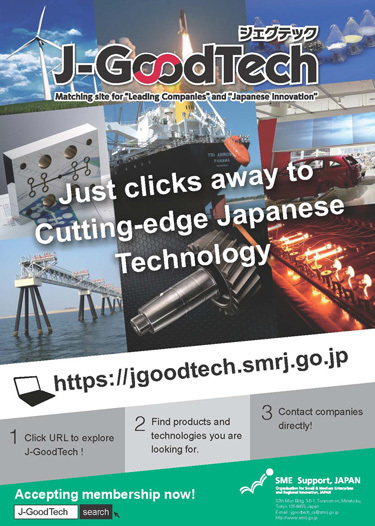 J-GoodTech is a new website that showcases great number of outstanding craftmanship of Japanese Small and Medium Enterprises (SMEs), including “top niche” companies that are highly competitive in their respective fields, as well as “unique” companies with technologies inimitable by competitors. 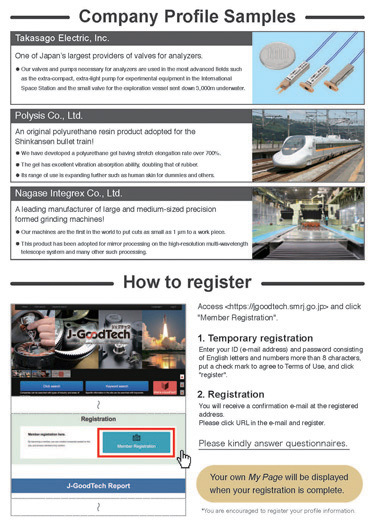 These companies are carefully selected to be on the J-GoodTech website for businesses from around the world. 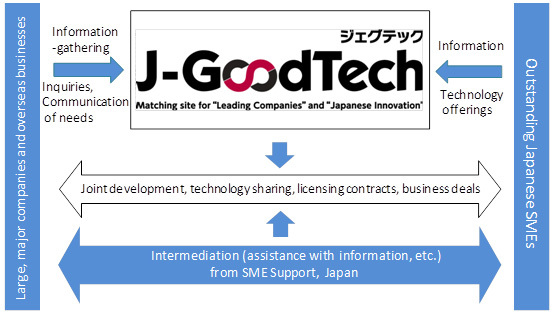 J-GoodTech is operated by the Organization for Small & Medium Enterprises and Regional Innovation, JAPAN (SME Support, Japan), a government organization.